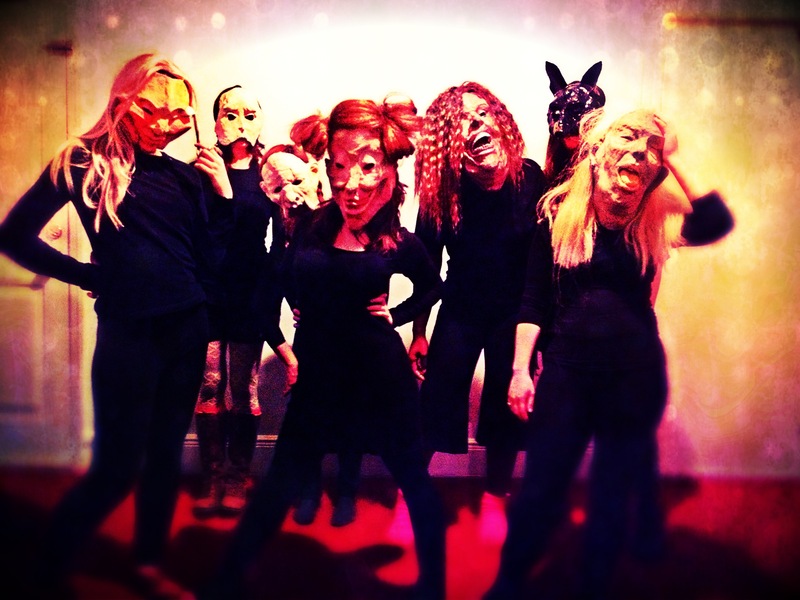 “Treasures,” was a devised performance piece incorporating mask and puppetry work. I constructed the costume and puppets from found materials. A post apocalyptic bum, with a strange collection of puppets fashioned after natural objects that no longer exist, mourns the loss of nature. The vocal work and movement vocabulary was inspired from the sounds and movements of insects. Performed site-specifically at the bar at Dixon Place. “Drunk Girls” explores the ritual of getting drunk. What are the gender politics of drinking culture? Why do we feel the need to get drunk? “A Big Bang,” explores gendered movement vocabulary and gender constructions using quirky vaudeville aesthetics.